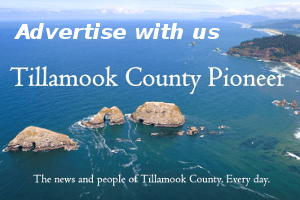 Independent Party of Oregon candidate for governor Patrick Starnes will be co-hosting a meet-and-greet at the Tillamook County Library on September 27 from 12 to 4 PM. For Starnes, a cabinet maker and elected school board member from Brownsville, the trip will mark his first campaign stop on the North Coast. Starnes will be joined by Rockaway Beach resident Brian P. Halvorsen, who is the Independent nominee for Oregon House District 32. Both Starnes and Halvorsen have proposed statewide campaign finance reform. Starnes has said, “We will not have fair and clean elections as long as large donations are allowed in our democracy.” He has limited his campaign donations to $100 per individual in stark contrast to the Democratic and Republican candidates, who are accepting large donations. The event format is casual, meaning there won’t be any speeches or prepared remarks by the candidates. Instead, people are encouraged to stop by at their convenience and engage with the candidates in a constructive dialogue about the issues that matter. It will be held in the community rooms of the Tillamook County Library, 1716 3rd St, Tillamook.